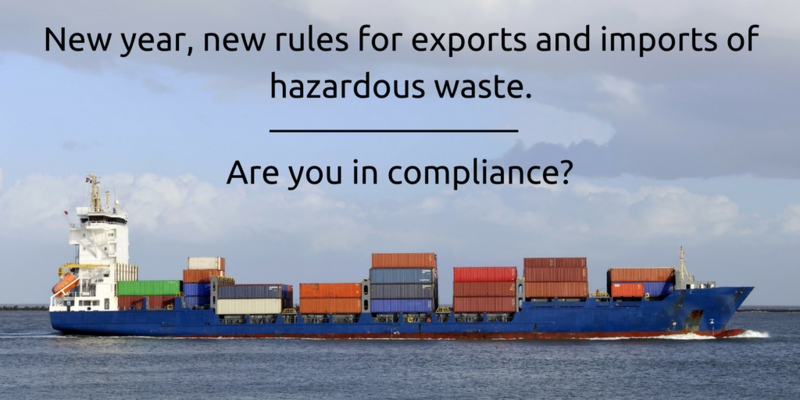 New RCRA Hazardous Waste Export-Import Revisions: How Will EPA’s Final Rule Impact Your Operations? In a recent webinar titled “New RCRA Hazardous Waste Export-Import Revisions—How EPA’s Final Rule Will Impact Your Operations,” speaker Christopher R. Bryant, senior regulatory consultant at Bergeson & Campbell, P.C., unraveled the complexities of the Environmental Protection Agency’s (EPA) new Hazardous Waste Export-Import Revisions rule, which went into effect on December 31, 2016. After describing the impetus for EPA’s overhaul of the regulations (such as an Executive Order, EPA’s legal obligation as a member of the Organization for Economic Cooperation and Development (OECD) to have regulations consistent with current OECD import-export requirements, and EPA’s own Office of the Inspector General’s conclusion that the EPA does not effectively control or monitor imports of hazardous waste), Bryant described the new requirements. Exporters and importers must notify the EPA of their intent to export or import before their shipments occur. The shipment is delayed until the exporter or importer receives an Acknowledgement of Consent from the EPA. Written contracts must be entered into with the foreign importer or exporter and can include financial guarantees. Each shipment must be tracked from start to finish, and there is now a duty to return or re-export to a third country any shipment of hazardous wastes that cannot be completed in accordance with the terms of its contract. The webinar speaker also mentioned that the EPA now regulates what it calls “recognized traders” (i.e., brokers or others that arrange and facilitate transboundary shipments) and requires them to have an EPA identification number. The revised rules require a “movement document” to accompany each export shipment (in addition to a hazardous waste manifest, if that’s also required). As an aside, Bryant pointed out that according to EPA’s own calculations, the cost to each affected company to implement the revised and new requirements will be approximately $20,000 annually. Bryant noted, however, that the biggest and perhaps most time-consuming change affecting hazardous waste exporters and importers is the addition of these nine tracking documents that must be filed electronically by the exporter or importer: notices to export or import, export annual reports, export exception reports, export or import confirmations of receipt, export or import confirmations of completing recovery or disposal, and import notifications regarding the need to make alternate arrangements or the need to return a waste shipment. Despite the rule having already gone into effect, the implementation of submitting these reports electronically will be phased in depending on when EPA’s Waste Import Export Tracking System (WIETS) will be ready (i.e., upon completion of the individual electronic submission capability in WIETS). The webinar concluded with several questions from the listening audience. Bryant confirmed that any consent issued by the EPA before December 31, 2016, remains in effect for the remaining period of consent and that the export-import requirements that existed at the time the consent was issued remain in effect until the 12-month consent period expires, albeit with a couple of exceptions that he described. In response to the final question as to what the speaker thought would be the reaction of the new administration to the revised rules, Bryant speculated that while the new administration will probably view some of the requirements, such as using electronic data and real-time approvals, as facilitating U.S. trade, other provisions, such as contracts, might be deemed onerous and a regulatory overreach. Download Christopher R. Bryant’s presentation, New RCRA Hazardous Waste Export-Import Revisions: How EPA’s Final Rule Will Impact Your Operations, on-demand. Christopher Bryant delivers over 20 years of experience in environmental, health and safety (EHS) compliance and legislative, regulatory and policy issues. Clients benefit from both his extensive field experience at the implementation level and his extraordinary knowledge of how regulations, policies, and legislation impact business operations. Mr. Bryant provides EHS compliance assistance, EHS management system development, assessment and implementation, and strategic development on EHS issues. He is a powerful advocate on federal, state, and international environmental issues, as well as with federal and state lawmakers. 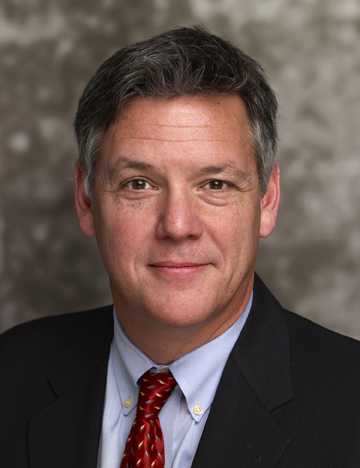 Previous to joining B&C, Mr. Bryant was Managing Director of the Chemical Products and Technology Division at the American Chemistry Council.